Vic Derby winner Ace High will run in the Randwick Guineas after being added to the field. A technical glitch means Ace High’s name does not appear in original nominations for the Group One Randwick Guineas but he has been added and his trainer is confident he will make his presence felt. The dual Group One winner was missing on Monday morning when entries were taken for Saturday’s Group One race as he continues his build-up towards the Australian Derby. “I don’t know what happened. I put the entry in with the others but it didn’t show up,” David Payne said. 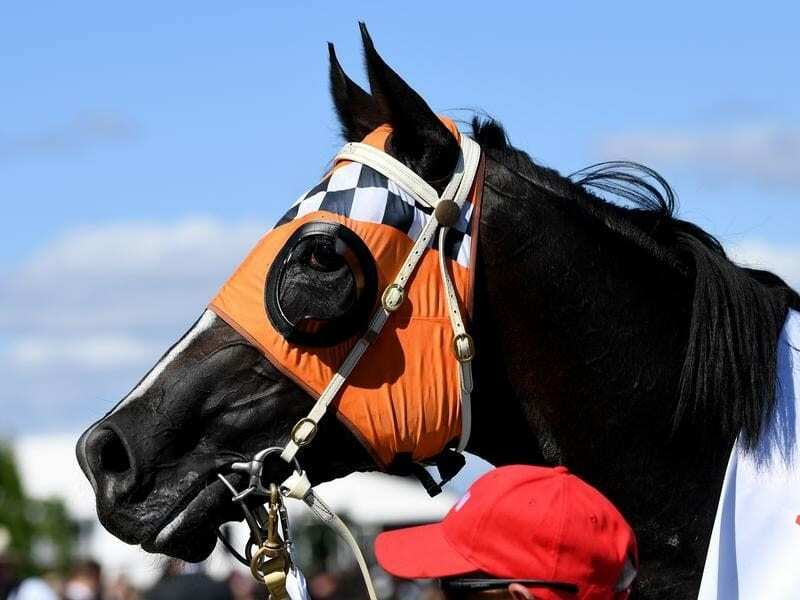 Ace High won the Spring Champion Stakes and Victoria Derby last year and has had two runs back in the Expressway Stakes (1200) and Hobartville Stakes (1400m) with Payne looking forward to getting him up to 1600 metres on Saturday. Payne has also harboured thoughts of the Queen Elizabeth Stakes over 2000m after the Rosehill Guineas and the Derby but the more it looks as if Winx will go there, the less likely it is Ace High will. “I think it will be the Derby and not the Queen Elizabeth,” he said. Ace High is the favourite for the Australian Derby (2400m) on April 7 while Payne has high hopes for a colt he thinks is a stayer of the future. Toulouse will go to Melbourne for Saturday’s Group Two Sires’ Produce Stakes (1400m). “He is a very nice horse and Ben Melham will ride him at Flemington,” Payne said. Payne said Toulouse had pleased him in a counter-clockwise gallop with Ace High and he had no fears he would handle Flemington. In the TAB’s opening market on the Randwick Guineas which does not include Ace High, Kementari is the $2.25 favourite over D’Argento at $4.60.